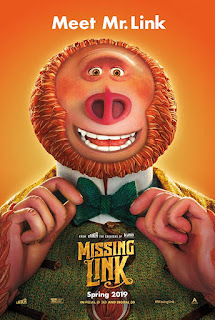 Download MISSING LINK Screening Passes in Select Cities! This April, meet Mr. Link: 8 feet tall, 630 lbs, and covered in fur, but don’t let his appearance fool you… he is funny, sweet, and adorably literal, making him the world’s most lovable legend at the heart of Missing Link, the globe-trotting family adventure from LAIKA. Tired of living a solitary life in the Pacific Northwest, Mr. Link recruits fearless explorer Sir Lionel Frost to guide him on a journey to find his long-lost relatives in the fabled valley of Shangri-La. Along with adventurer Adelina Fortnight, our fearless trio of explorers encounter more than their fair share of peril as they travel to the far reaches of the world to help their new friend. Through it all, the three learn that sometimes you can find a family in the places you least expect. 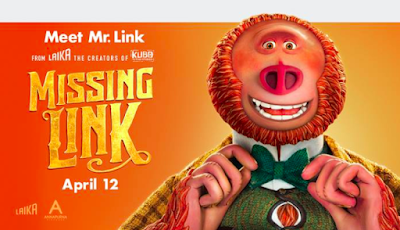 MISSING LINK is in theaters on April 12th, 2019. Click to Subscribe for more Screenings and Contests! Mind on Movies wants you to see select shows at the Fox Theatre in Detroit. 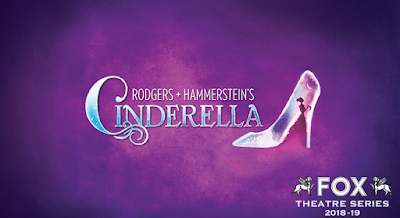 Shows include Rodgers + Hammerstein's Cinderella, Celtic Woman, and Daniel Tiger's Neighborhood Live! See below for details on select shows and how to redeem a special offer. 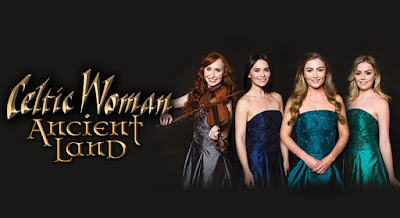 Celtic Woman, the Grammy®-nominated, multi-platinum international music group today announced its return to North America with a brand new live show, Ancient Land. The tour announcement comes on the heels of the release of the 13th studio album of the same name. Celtic Woman will visit nearly 70 North American cities in 2019 including Detroit’s Fox Theatre on Wednesday, April 10 at 7 p.m. The grr-ific musical for little tigers and grown-ups alike is back! 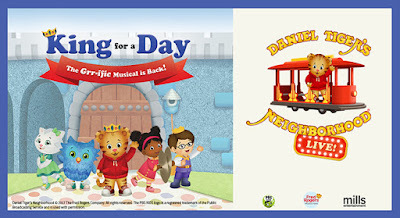 Young fans and their families will get to experience Daniel Tiger’s Neighborhood, the hit Emmy-nominated PBS KIDS series, in an all new way when the can’t-miss live stage show, Daniel Tiger’s Neighborhood LIVE! King For A Day, comes to the Fox Theatre for two performances on Saturday, April 27 at 2 p.m. and 5:30 p.m.
Billy - Sometimes I explore things outside my room, this is the site you can find out things I do. You can follow me on Twitter here. 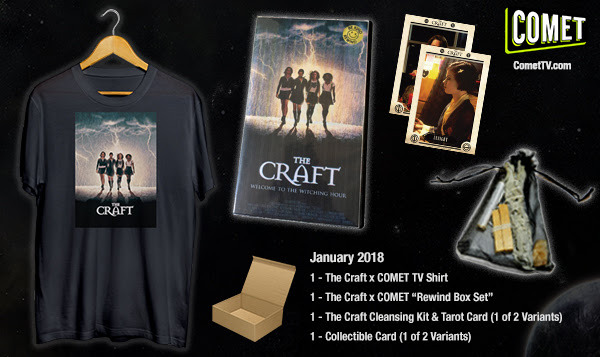 Mind on Movies is very excited to announce that we are working with COMET TV on a The Craft Exclusive Swag Pack! Edgar Allan Poe Double Features! And More! January is here and with the start of any new year it’s the perfect time to come up with resolutions and things to accomplish in 2018. Or you can just cast a spell… That’s what the teen witches of The Craft did and look what happened to them! This month COMET TV has not just The Craft but amazing films like Labyrinth, Bubba Ho-Tep and more! And we want to give you the opportunity to have an awesome January of your own! The COMET TV January Prize Pack is perfect for casting a spell on the new year or just kicking back and watching COMET TV! No Purchase Necessary. Only one entry per mailing address per giveaway. The prize will be sent via FedEx or UPS. No P.O. Boxes please. This contest is from Mind on Movies working with CometTV. The entries will be checked. 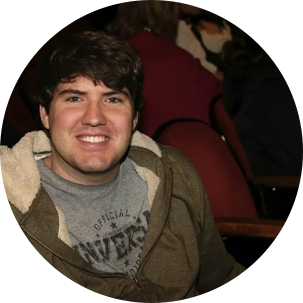 Billy (Creator) - has been to many events over the years. He enjoys anything that's funny, or that involves action. You can follow Billy on Twitter here. 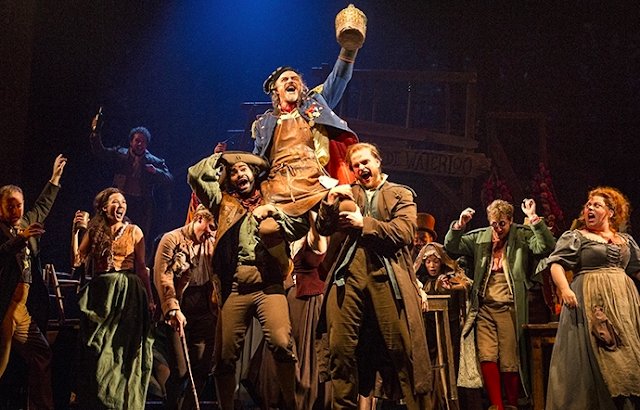 LES MISÉRABLES is playing at Detroit's Fisher Theatre, Feb 27 – Mar 11. The Broadway In Detroit Series at The Fisher Theatre is sponsored by the Chrysler Pacifica. As part of this sponsorship, the Chrysler Pacifica will be on display this season at The Fisher Theatre. Follow Broadway In Detroit on Facebook BroadwayInDetroit, Twitter @BroadwayDetroit and Instagram @Broadwayindetroit. 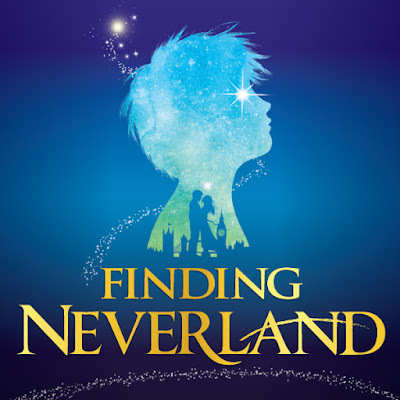 FINDING NEVERLAND is playing at Detroit's Fisher Theatre, Feb 6-18. Broadway in Detroit is pleased to announce that FINDING NEVERLAND will play the Fisher Theatre, February 6-18, 2018. Tickets start at $39 and are now on sale at all Ticketmaster locations, by phone at 800-982-2787 and online at www.broadwayindetroit.com or www.ticketmaster.com. Tickets are also available for purchase at the Fisher Theatre box office. Based on the Academy Award-winning Miramax motion picture by David Magee, and the play The Man Who Was Peter Pan by Allan Knee, Finding Neverland follows the relationship between playwright J.M. Barrie and the family that inspired Peter Pan, or The Boy Who Wouldn't Grow Up – one of the most beloved stories of all time. Directed by Tony®-winner Diane Paulus (Pippin, Hair) with book by Olivier Award®-nominee James Graham, music and lyrics by Gary Barlow (Take That) and Grammy Award®- winner Eliot Kennedy, and choreography by Emmy Award®-winner Mia Michaels (“So You Think You Can Dance,” Cirque du Soleil’s Delirium), this new musical, packed with mesmerizing visuals, irresistible songs and plenty of laughs, is a timeless story about the power of imagination… and spectacular proof that you never really have to grow up. · Tuesday through Saturday evening performances at 7:30 p.m.
· Special Open Captioned performance on Sunday, February 11 at 6:30 p.m.
Tickets for Finding Neverland start at $39 (includes facility and parking fees) and are now on sale at all Ticketmaster locations, by phone at 800-982-2787, and online at www.broadwayindetroit.com or www.ticketmaster.com. Tickets are also available for purchase at the Fisher Theatre box office. A limited number of premium seats will be available through Ticketmaster and at the Fisher Theatre box office. For group sales (12 or more) please call 313-871-1132 or email groups@broadwayindetroit.com. Tickets for the Open Captioned performance may be purchased in person at The Fisher Theatre box office or by phone at 313-872-1000, ext. 0. Performance schedule, prices and cast are subject to change without notice. © Billy Joynt. All Rights Reserved.